The goal right now is to beat the Calgary Flames. Makar helps make that a reality. Play Makar. He's going to be a stud, if they win and he helps them win it's a no brainer. Thornton with a headshot that should get him 2. We’ll see if he gets to use the Steckel, “I’m a big clumsy idiot. I know not what I do” argument. Meh, play him. Plus it's not like the Avs have a bunch of D that have a NMC/NTC. Erik Johnson is the only player that currently has one. 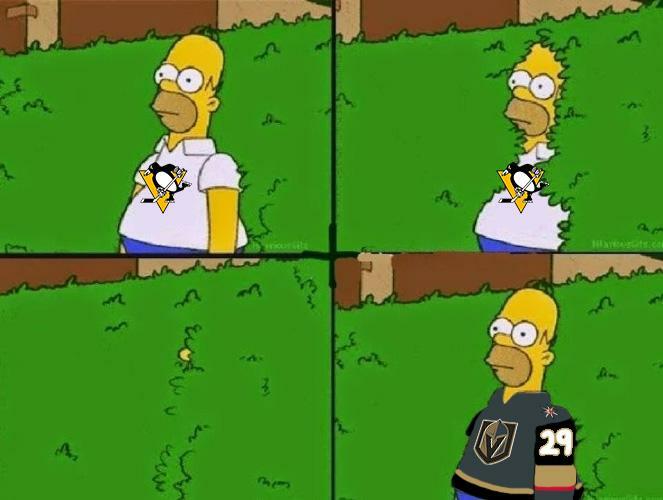 All in for Calgary right now. Anyone but Washington or Columbus, at this point. As long as the Caps don't repeat and the Bruins are eliminated, I'm good with whatever team wins the Cup. Obviously, I'd love to see Vegas win because of Fleury. Calgary would be cool, too. Listen to one Spittin' Chiclets podcast and you'll add Boston to your list. Anyone from the west is cool with me. I would hate to lose the incredibly easy "1967" chirp to Leafs fans. 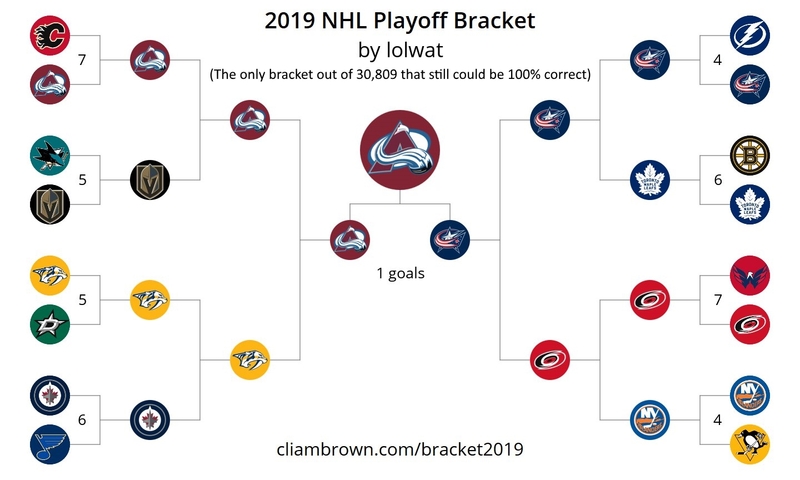 There is only one bracket left out of over 30,000 on r/hockey that still has a chance to be 100% correct. The title is "lolwat" and the goal tiebreaker for the Final is "1 goals"
30 freakin' years! Yes, despite winning 33(!) league titles, CSKA won the last time in 1989, when it was still Soviet Union League. Well, aren't we both winning the "Money Pool" at schreibdog.com so far, thanks to our genius strategy to pick against the over-bought hometown favorites? What's the deal with this Nikita Gusev business? Didn't think you could sign once the playoffs started and be eligible to play. Reserve list by trade deadline = eligible.